With unusually cool temperatures and a chance for rain in the forecast for April 9, we decided to postpone the Occoquan River cleanup until Saturday, April 23. 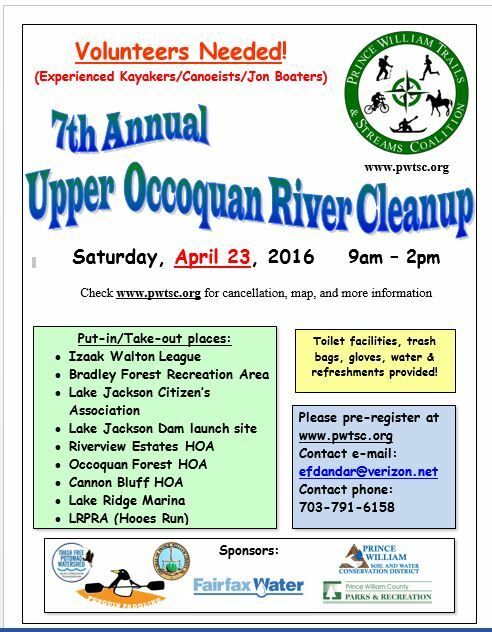 We hope that those who planned to participate can come out on April 23 and help to keep the Occoquan clean. 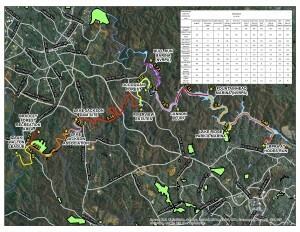 For this annual spring cleanup we’ll be working from multiple locations all along the river and reservoir. Volunteers gather trash on shore and paddlers work from canoes and kayaks to retrieve trash from the water. We partner with the PWC Parks Dept, Prince William Soil and Water Conservation District, and several homeowner’s associations for this event. If you have not registered, please click here to register! For those of you who have already registered, and plan to participate on April 23, no action is necessary (there is no need to re-register for April 23). If you registered previously, and cannot participate on April 23, please email us at vice.president@pwtsc.org and we will remove your name from the list.